PolivkaVox: How eLearning became Educational Publishing. And vice versa. How eLearning became Educational Publishing. And vice versa. I recently had a conversation with the highly accomplished head of a highly respected global education organization that you would recognize if I named it. I'm not going to name it, though, because I'm going to tell this story. And even though it's not a negative story, it does illustrate a gap that has yet to close, and I don't want to single out any entity or person. We were discussing that organization's online learning division, and I mentioned that it might make sense if he merged it with their publishing division. He looked genuinely bewildered, and I got the feeling he rarely looked, or felt, genuinely bewildered. "Why would we do that?" Now it was my turn to look bewildered. I really didn't know where to begin, because it seemed so completely logical to me. I knew I needed a thirty-second elevator speech as a response, and I also knew that in order to provide one, I would have to condense about twenty years of my own hard-won experience into the answer. What I managed was something like "Online courses are digital products. So are books and other materials, even if they are printed before they're sold. At the root, they're really the same thing... digital products that have to be designed and developed using pretty much the same set of capabilities and processes. Uniting them in the same organization makes both more efficient." I'm very sure my answer didn't make quite so much sense as what I just wrote out from memory, but that's the nice thing about blogging... you get to be the reporter, the subject, the editor, and publisher at the same time. Twenty years ago when I first ventured into "distance learning," I wasn't in the publishing business. Now, I can look back and say with complete accuracy that I've been in educational publishing for twenty years. That's because the definition of publishing has changed, and will continue to change, metamorphing these two pursuits into one. Just for fun, let's take a look at the dictionary definitions of publishing, as they have evolved. Merriam-Webster, 1976: "The business or profession of the commercial production and issuance of literature, esp. in book form for public distribution or sale." Merriam-Webster.com, 2012: "The business or profession of the commercial production and issuance of literature, information, musical scores or sometimes recordings." Dictionary.com, 2012: "To issue (printed or otherwise reproduced textual or graphic material, computer software, etc.) for sale or distribution to the public." Wikipedia, 2012: "The process of production and dissemination of literature or the activity of making information available to the general public." Notice that even though the last 3 definitions are from the current year, there is an obvious progression of sources, from a staid, pre-web company now online (Miriam-Webster.com) to one of the original dot-coms (Dictionary.com) to a true Web 2.0 entity (Wikipedia). And the progression is unmistakeable... each definition is broader than the previous, until finally Wikipedia just says that publishing is taking "information" (as broad a noun as you could choose) and "making [it] available" (as broad a verb as you could choose) to the "general public" (as broad an object as you could find). But that's where we are. But to make my case, I won't rest on definitions. I want to take a peek into what's been happening with textbook publishers, and compare it to what's been happening with the developers of online courses. Let's pick higher education for our example, but you could pick K-12, corporate training, continuing professional education, anything you like and the same point could be made. Pretty much everything that defines online learning, including... the online course! This is not unusual. Publishers are under pressure to provide an online course to go along with their textbook, and most develop one. Sometimes these come in the form of a "course cartridge" that professors can plug into Blackboard or Moodle or whatever LMS they have, but often it's just... the course that goes along with the textbook. It's there online, in the publisher's own learning management system. If your professor wants to teach the whole course online, there's nothing stopping her. Pearson is the biggest, most successful textbook publisher on earth, and a few years back they bought one of the leading LMS companies, eCollege. They have known about this merger for years that the definition of publishing looks more like Wikipedia's than like Dictionary.com's. Production -- pulling it all together, with video and interactivities, assessments, and quality control. 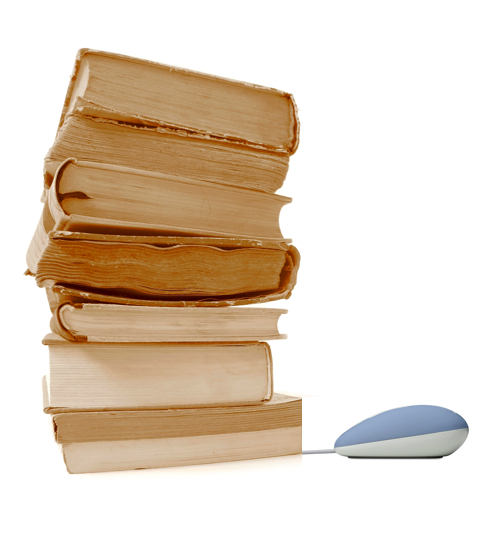 The most successful textbook publishers are eLearning producers. The most successful eLearning producers follow publishing processes. The gap between the two is vanishing. And that's why it made such obvious sense to me that the publishing division and the eLearning division ought to be connected. I have one more proof for my thesis, which I'm not going to put directly into this blog post, but I'll link to it. I went back through my own twenty-year career and laid it out as if I had always been in the field of Digital Educational Publishing. Very eye-opening. Take a look here, and let me know if you disagree.